What you're about to read is a collection of pointers to some of the music I've discovered on	the iTunes Music Store, music I like enough that I want to share it. If you're an iPod owner and an iTunes fan (and if you aren't, what are you doing here? ), maybe you'll find something new. Click on any of the CD covers to bounce over to the store and sample a few tracks. And then maybe stop by my other blog for a few well chosen words (and maybe a random snark or two). Have some music to recommend? I can always use a few pointers. Use the comments link at the bottom of the page. Early in my career, I had the chance to spend most of a year in Europe. Most of that time was spent in London, which wasn't exactly a hardship. The rest was in Brussels, a rather more challenging location for one so unworldly and linguistically challenged. But I made the best of the situation. And without meaning to, and in full recognition of its political incorrectness in our current political climate, I developed a fondness for various aspects of both French and Dutch culture. Including French music1; the language, the accent and the stylings combine into something wonderfully seductive, even when you have no idea what they're singing about. Or perhaps especially then. 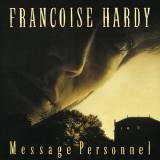 Listen to a little of Françoise Hardy and see if you don't agree. Before long you'll be moving on to the hard stuff: Piaf. What I remember of Dutch pop isn't worth mention. Seems to me the Dutch stations played mostly other countries' music anyway. Especially ABBA; lots of ABBA.